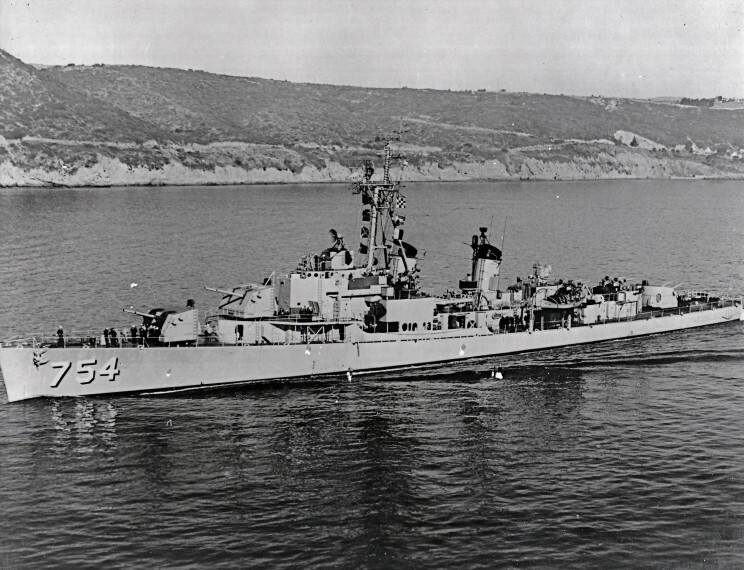 USS Frank E. Evans DD-754 seen in the mid 1950's off Point Loma, California. 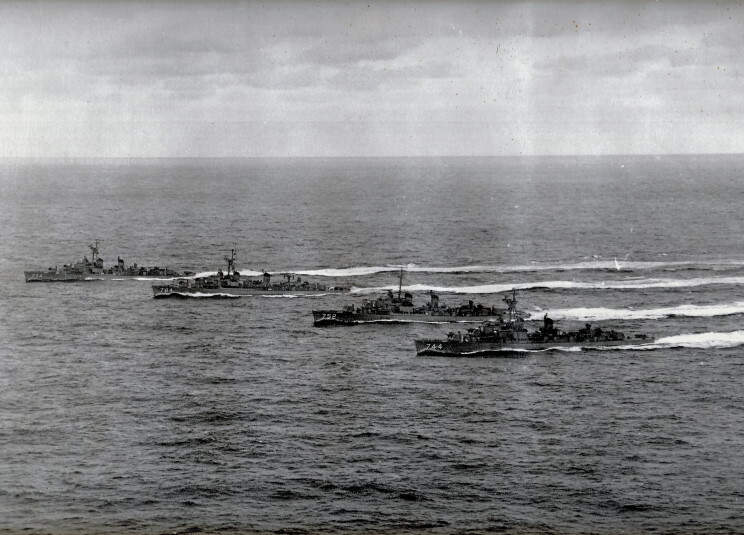 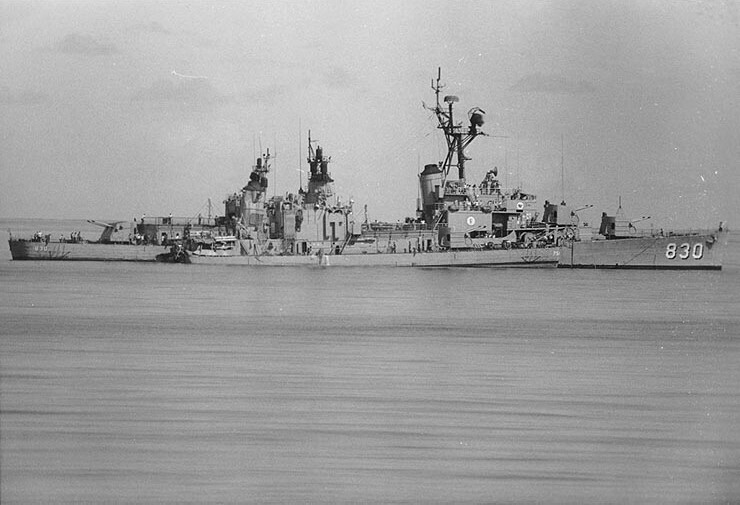 DD-784, USS Alfred A. Cunningham DD-752 and USS Blue DD-744. 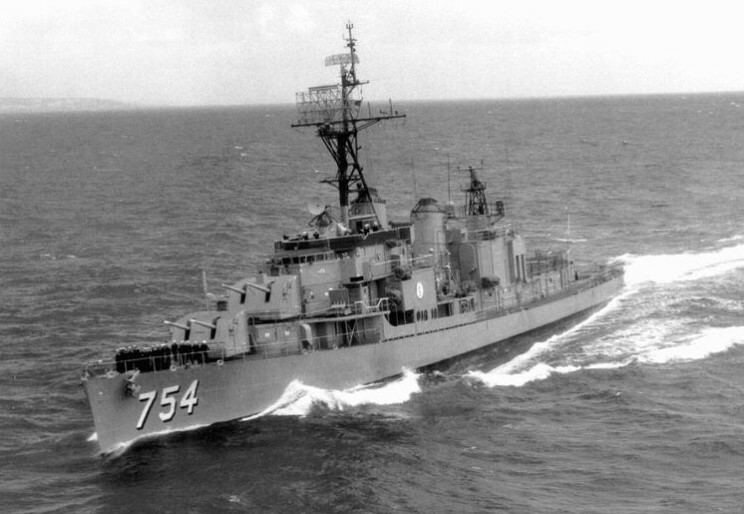 USS Frank E. Evans DD-754, date and location unknown. 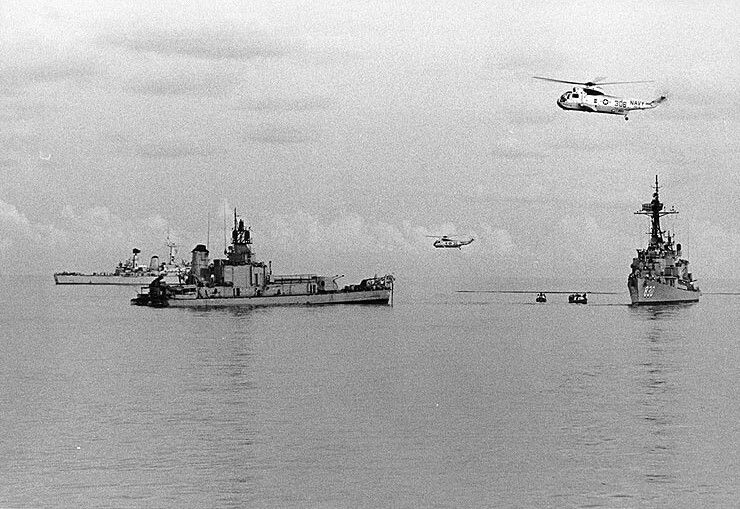 June 3, 1969: USS Everett F. Larson DD-830 alongside USS Frank E. Evans DD-754 after the collision.